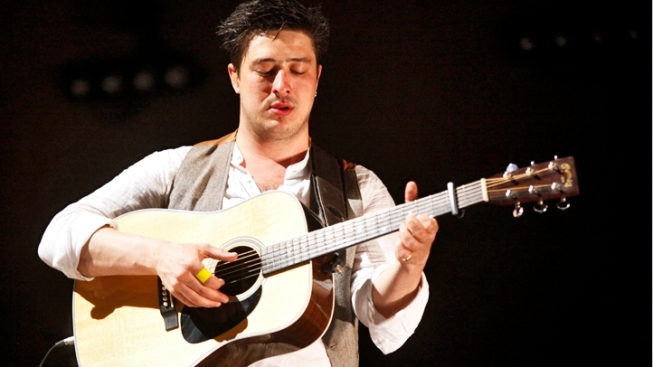 Mumford & Sons are heading back on tour. The Grammy-winning band announced Monday that it has rescheduled dates in Dallas; The Woodlands, Texas; and New Orleans. The group will come to Gexa Energy Pavilion in Dallas on September 18. The upcoming shows will include bassist Ted Dwane, who received treatment for a blood clot on his brain two weeks ago. The band postponed shows as a result, including a headlining gig at the Bonnaroo Music & Arts Festival. The foursome's "The Full English Tour" will begin Aug. 26 in Toronto. It wraps Sept. 20 in Bonner Springs, Kan. Other stops include Milwaukee, Atlanta and Simpsonville, S.C. The folk-rock band's sophomore album, "Babel," won album of the year at this year's Grammy Awards.